I've had some good vegan food in Austin, but Counter Culture really impressed me. 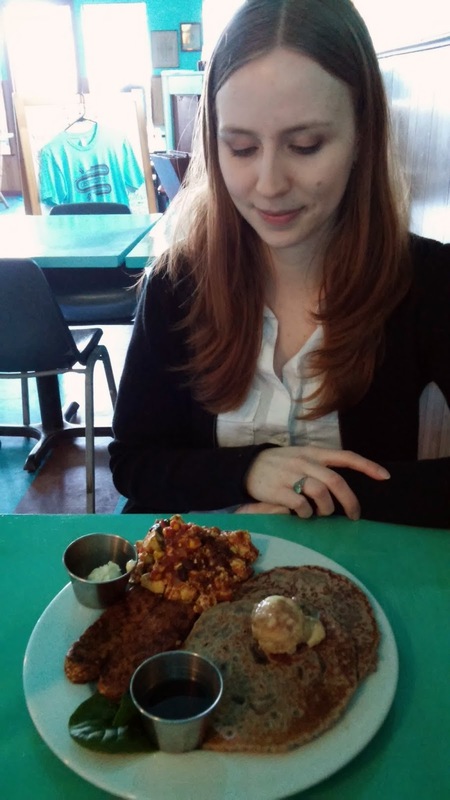 I tried the special - a blue corn pancake plate with tofu scramble and tempeh bacon. There were a lot of different flavors on that plate, and each was subtly balanced to perfection. The menu was simple but offered a variety of tempting options. I was delighted to see that the style was comfort food, but the focus was on real, unprocessed cuisine. In an era where a vegan option is often a frozen soy sausage or Daiya cheese, it was refreshing to see real foods. I left the restaurant feeling full, but the food was light enough not to weigh me down for the rest of the day. 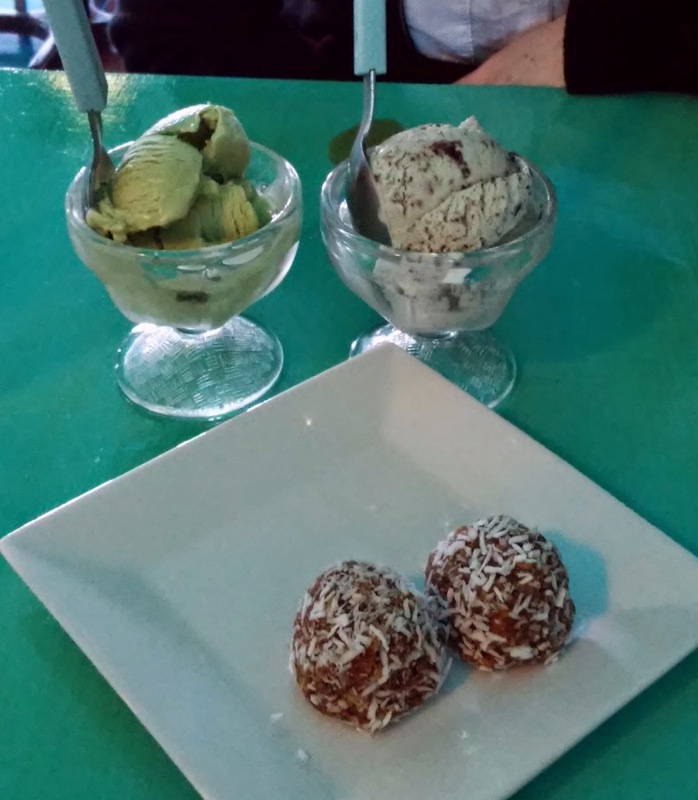 We had a light dessert of "donut holes" (like a sweeter version of a Larabar) and ice cream from Austin's own vegan ice cream parlor, Sweet Ritual. It was the perfect finale to a great meal. Counter Culture is located in East Austin, near I-35. The location was easy to access and had plenty of street parking nearby. As a North Austinite, the location is a little tricky to get to for weeknight meals (due to I-35 traffic), but it was a quick trip on the weekend. I only wish I'd heard about it more, since I had no idea the food was so great. I'll be dreaming of a day when they can expand to a North Austin location.